To date, there is little published data on inflammation in acute rhinosinusitis (ARS). However, what information there is helps us understand how this condition is not always equivalent to the presence of a bacterial infection. In ARS, it is common to find high IL-8 (which is the neutrophils’ main chemotactic agent), TNF-alpha and total protein levels. Neutrophil and T lymphocyte levels are also usually increased (both in the epithelium and in the lamina propria). There is more information available on the existence of inflammation in chronic rhinosinusitis (CRS) with nasal polyposis. Among other findings, there is one that is particularly interesting: the persistence of high eosinophil levels. Numerous inflammation mediators have been found in the sinonasal mucosa of subjects with CRS and nasal polyposis which may play an important role and may be caused both by specific substances and by other non-specific factors (cold, pollution,…). Glandular secretion is an important component of inflammation, manifesting as rhinorrhoea, and is regulated not only by inflammatory regulators but also by the epithelial and inflammatory cells themselves and by classic neurotransmitters. A landmark study performed by Roca Ferrer et al. 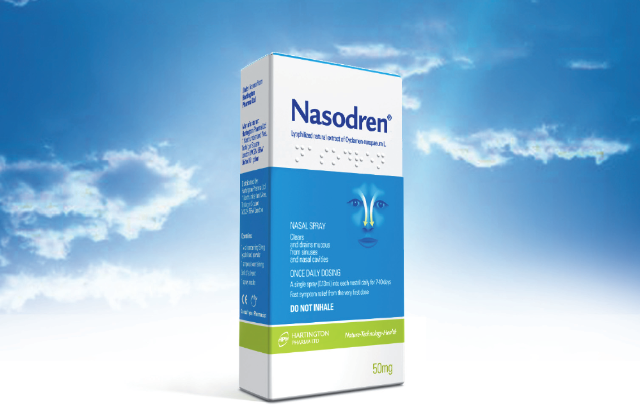 shows that the application of metacholine on the nasal mucosa induces a significant increase in glandular secretion markers (in both the nasal and bronchial mucosa) and that this effect can be blocked by the administration of an anticholinergic agent. In addition, there is a dose-dependent relationship between metacholine and glandular secretion. Identical results are obtained with the application of interleukins. In this context, it has been shown that the administration of glucocorticoids interacts with all the stages of the inflammatory cascade. Martínez-Antón et al. have shown its ability to act on the mucins (one of the main markers of glandular secretion). In his studies, Dr. Mullol has provided significant information on the activity of glucocorticoids as inhibitors of COX-2 expression and activity, negative regulators of the NFB receptor and modulators of the activity of other components of the inflammatory cascade, such as eosinophils, cytokins and GMCSF activity in the epithelium. In addition, it has been recently documented that the corticoid receptor alpha (which is the active receptor for corticoids) is decreased in nasal polyps. It is therefore to be expected that nasal polyps would be less responsive to treatment with these drugs (i.e., there would be a certain amount of resistance). It has also been seen that treatment with high doses of corticoids quickly induces a marked decrease in the expression of the corticoid receptor. Consequently, it would be expected that the treatment would progressively become less effective. However, these results are not confirmed in in vivo experiments; on the contrary, expression of the corticoid receptor increases with continued administration of glucocorticoids. These findings about inflammation are significant; an improved understanding of the pathophysiology of sinonasal conditions will enable a more targeted management, facilitating diagnostic and treatment decisions and offering greater benefit to our patients.